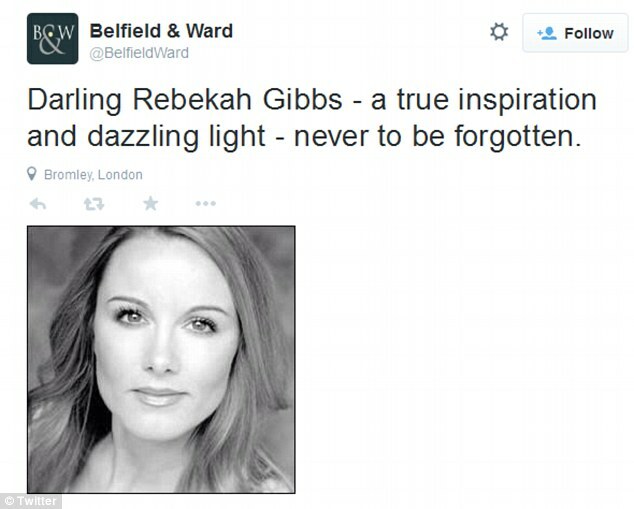 The best friend of Rebekah Gibbs has spoken of the Casualty actor’s incredible bravery as she struggled against breast cancer. 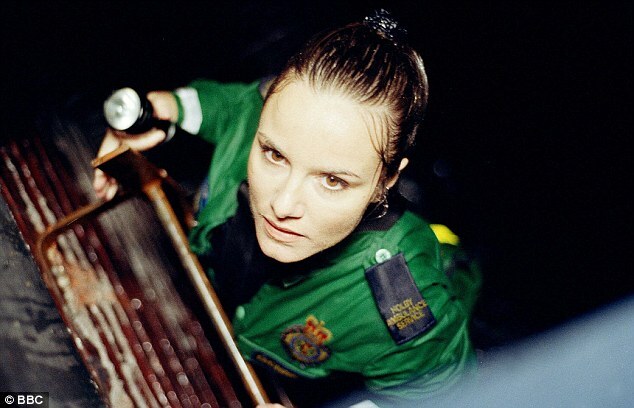 The 41-year-old mother-of-one, who appeared in more than 100 episodes of the BBC show as paramedic Nina Farr, died from the disease on Tuesday after a six-year battle. 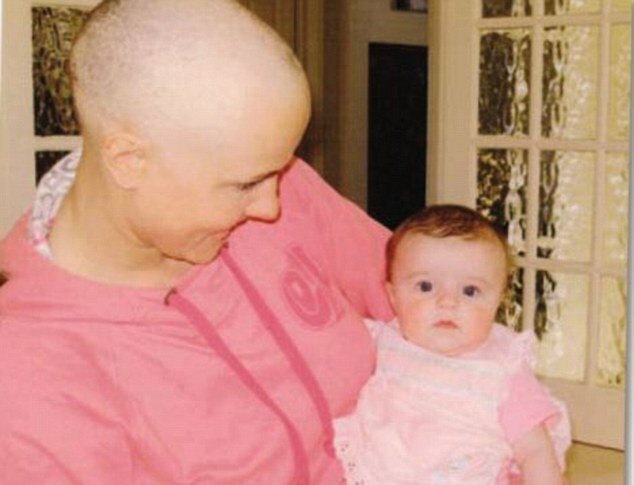 Michelle Grant, 41, says she was devoted to Gigi, who was just 10 week old when her mother was diagnosed with breast cancer in 2008. 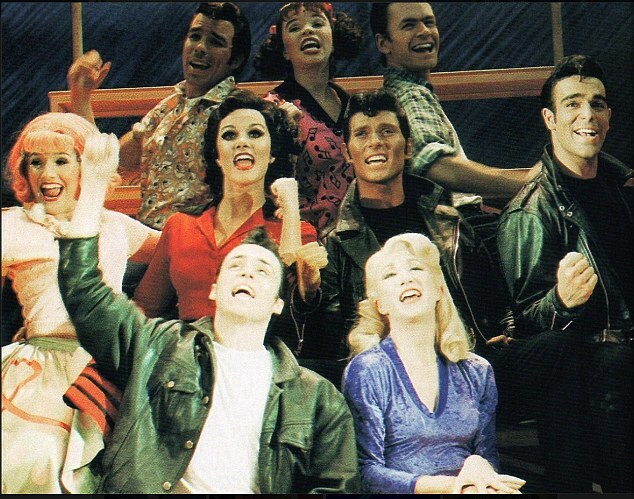 Michelle first met Rebekah while they were performing in a stage production of Grease in 1999. The pair, playing Frenchie and Rizzo, quickly became best friends. 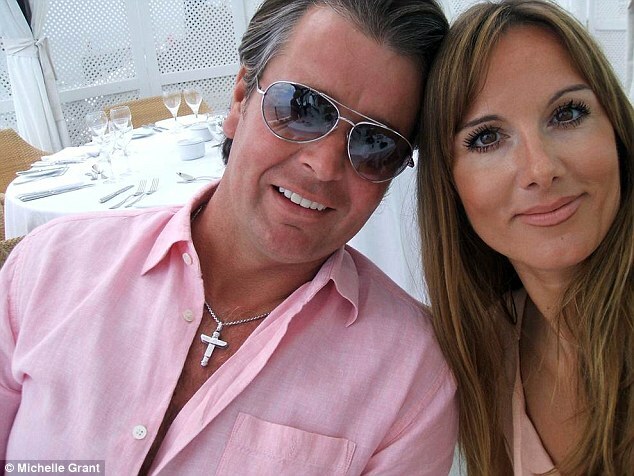 Michelle, who runs a production company, told MailOnline: ‘She was the most wonderful person. ‘She never let it get on top of her. She worked as hard as she could to bring up Gigi. 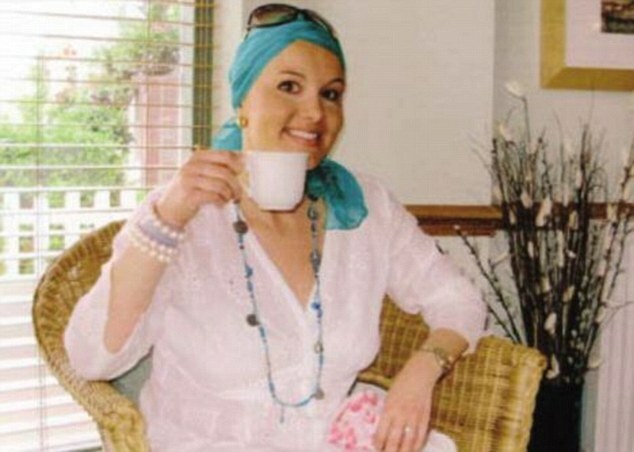 After chemotherapy and radiotherapy and a double mastectomy and was given the all-clear after five years in 2013. But a few months later she had a seizure while on holiday in Devon. She was taken to hospital and was told the cancer had spread to her brain and lungs. She died on Tuesday afternoon in a hospice. Michelle, herself a mother of a two-year-old girl, spoke of the shock her friends and family felt when the cancer returned. ‘It was just heartbreaking. She had the scan and it had got into her lungs. That was it. She added ‘She was always thinking of her little girl. Her husband Ash has been her rock and his mum Nonny has constantly cared for Gigi. ‘There are so many people that loved her, everyone she knew loved her. When she spoke to you, it would feel as if you were the only person in her life at that moment. She added: ‘She was loved until the very end. For the last few months she was never left alone. ‘She was quite outrageous and a wonderful person. She was all about high heels and lip gloss and she’d be on the dance floor high kicking. Her husband Ashley released a statement, saying: ‘Rebekah had wonderful care and felt loved and safe right up until the end, especially with the outstanding nursing staff at the Hospice in the Weald, who were exceptional. ‘I’d like to thank them and her dear, loving friends, from the bottom of my heart for all the love and support we received over the last year. Without which Rebekah and I would not have been able to cope. Rebekah first noticed a lump at Christmas in 2007, when she was seven and a half months pregnant. Initially she thought it was the baby moving, but was horrified when she realised it was a walnut-sized mass in her left breast. Anxious that it might be a tumour, she went first to her GP then a locum doctor. Both of them initially told her that she had a blocked milk duct. Speaking to the Mail in 2009, she said: ‘The private consultant I [eventually] saw said he believed it was cancer even before he ran a single test. ‘At that moment it was as though a bomb had exploded inside my world, destroying every certainty. ‘Although Gigi was crying with hunger, the last thing I wanted to do was to get out my breast and start feeding her, knowing there was something alien and poisonous growing in there, but I knew she needed my milk. Rebekah had planned to breast-feed for six months. 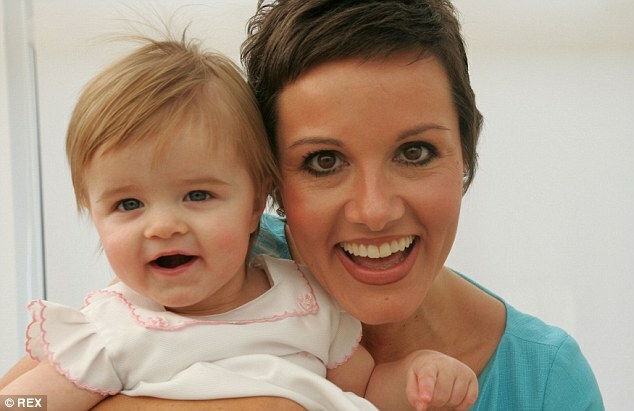 Instead, she was given a drug to dry up her milk supply before surgery to remove the tumour. More blows were to follow: a biopsy showed the cancer was grade three – a very aggressive form – and an examination of her lymph nodes revealed the disease had spread. So what should have been a time of joy at the arrival of her baby became a daily battle with despair as she and her fiancé, garage owner Ashley Pitman, 47, faced up to the challenges that lay ahead. The days and weeks were marked out not by Gigi’s precious milestones but hospital appointments and gruelling rounds of chemotherapy. ‘I missed out on so much,’ says Rebekah. ‘When I had my first round of chemo I felt so sick that I couldn’t interact with Gigi – all I could do was come home and take her to bed with me. Then I realised I would have to hand her over to someone – my mother, Ash’s mother or my neighbour Victoria – because she needed stimulation to grow. Coronation Street actress Hayley Tamaddon tweeted: ‘My dear friend passed away today. A true star, always smiling and so positive. 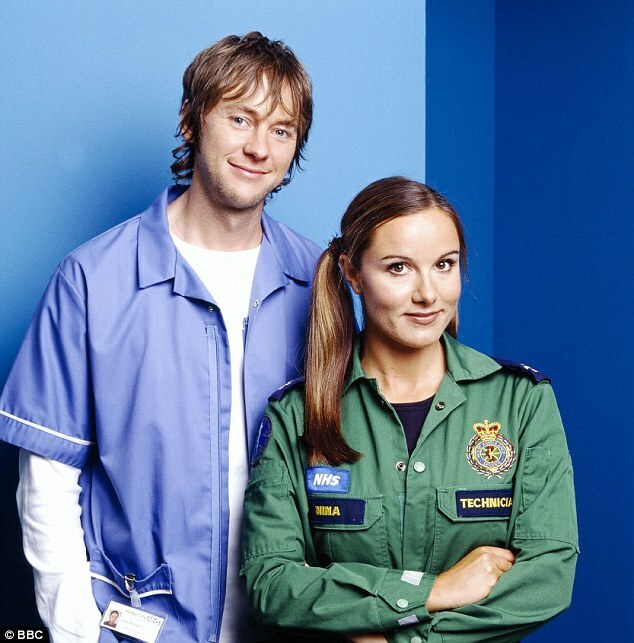 Born in Torquay, Devon, Rebekah attended the Doreen Bird College of Performing Arts in Sidcup, whose alumni include Spice Girl Mel C.
She appeared in the West End musicals Starlight Express, Grease and Fame before landing the part of Nina Farr, a paramedic, in Casualty in 2004. She left in 2006 to start a family, and went into healthy living overdrive; she was training for a half-marathon when she found out she was expecting Gigi. Poignantly, in a book she wrote about her struggle with the disease, Gibbs wrote a moving open letter to Gigi, telling her how much she loves her. ‘The book is part of my preparations for Gigi’s life, with or without me,’ she said. ‘If I can’t be there, all I want is for her and Ash to be happy. For information about donations to the hospice that cared for Rebekah, The Hospice in the Weald can be followed on Twitter on: @hospiceweald. This entry was posted in Breast cancer, Cancer, Cryoablation, IN MEMORIAM, Kidney Cancer, Magnetic resonance imaging, Rebekah Gibbs, Surgery, Tumour and tagged Actor, BBC, Breast cancer, Casualty (TV series), Coronation Street, Devon, GL-W, Greg Lance-Watkins, Greg_L-W, Hayley Tamaddon, Medical drama, Rebekah Gibbs, Starlight Express, Twitter. Bookmark the permalink.